You’re publishing a book, and you need to get some buzz before launch. Later we’ll talk more about content marketing, media hacking, and traffic stealing. But before we get into all that, we need a blog. Without a blog, you don’t control your own traffic. It’s like going fishing with no net. Even if you catch a bunch, you have no where to put them and store them. The ones you do catch will rot. You need your own website. And then you need a way to stand out and get people to see you, rising above the millions of other wannabe professional writers. Otherwise, even if you’re a genius, nobody will ever know. You can pay for advertising or promotion but that’s like jumping on a trampoline – you just keep going down again. 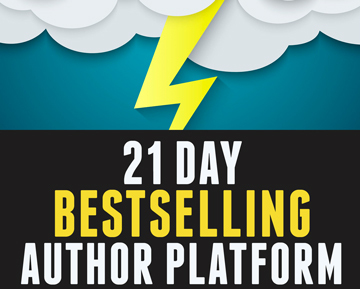 You want to hit the bestseller lists and stay there. 1. You launch your book hard enough and well enough and connect with enough zealous readers who share your book that it just stays up there. 2. You build a blog (like this one) with a whole bunch of content, and people keep finding you, and you have a captive audience of hundreds of new potential readers every day, and you can try to get them to take a little tiny bit of action, and reward them when they do. You build a relationship by giving them free stuff, and making them happy, and improving their lives, so that they learn to love and respect you. And then when you have a book out or ask them for a review, they take the time out of their busy lives to do you that favor, because you’ve made a positive impact. Now of course it would be great if we could just do #1 every time and succeed. It happens. But it’s rare. And you can’t count on it. So I want you to ALSO think about doing #2. And we can do that with WordPress. WordPress is a content management system. Is can be the platform hosted on WordPress.org – you can pay for a site with them and they will host it. That’s OK, but they don’t have all the flexibility and options you want. I prefer to buy my own domain name, my own hosting (godaddy or something) and install WordPress on my own hosting, not the one WordPress.org gives me. I know that sounds confusing… it is. But it’s not very hard to set up, install WordPress, and then pick out a nice simple theme. For themes, I’m under the impression that simple is better – but simple stylish, not simple ugly. If you install a good, minimal WordPress theme and don’t mess it up with ugly graphics and logos (or ugly book covers) you should be fine. Get a handful of beautiful stock images that make readers feel what you want them to feel (that will depend on your genre). Use nice clean typography. Keep it simple. Simple sites load faster and are less jarring. You want readers to find your site and then stay on your site as long as possible. You can do that with great content…. or funny cat videos. I try to make videos for every blog post, because people will stick around longer. But they have to find you first! You need to post content with titles that they are searching for. That means you need to write about what they are looking for. They aren’t looking for you. It should be easy to rank for your name or your book’s name. But then you’ll only get found by people who know who you are – and that’s not book marketing! 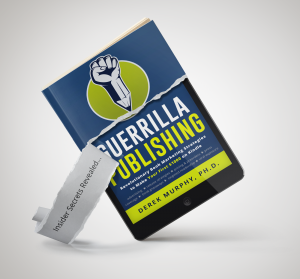 Book marketing is getting found by people who don’t know who you are. You need to know exactly who your audience is; your ideal reader. If they won’t love your book, no one will. 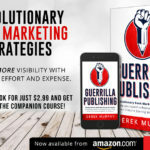 (Incidentally, before you spend money or time on book marketing – find ten of your ideal readers who don’t know you and get the book in front of them. If they don’t like it, or you can’t get them to give you reviews, you have a problem with the product. Study plot and story arch and character development and FIX it. Then test again). If you know who your readers are, you should know where they are and what they’re interested in. This should actually be really easy. Million dollar tip: I’m starting to write some YA books. So I need to know what YA readers like, and blog about it. What do they like? They like YA books. That was easy, right? So what are they most likely to be searching for? 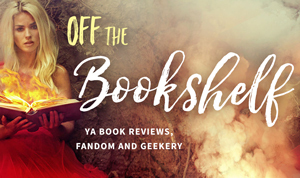 Things like “Top 10 YA books of 2015” or “Best YA Book” or “New YA Books.” So you’ll want to do some research. Sure, there are already a bunch of posts like that online. You know how to beat everyone else? Read the future. For example, I recently wrote book reviews of 10 of HarperTeen’s new books. The thing is, they don’t actually come out for several months. I posted the blog post now, so I could be first – I’ll write reviews based on what I can find out. Then I’ll redo them later when I’ve read the books. I’m not published with HarperTeen, but if people searching for those books find MY website, it means I get to advertise my book to Harper’s audience. For free. The main problem is that you are competing against some really big book blogs. If you post 5 or 10 articles, they aren’t likely to rank well. You need to put about 100 articles on your site in the first month. That isn’t so hard – write 100 titles first. Use a title generator to make it easy; it will think up all the right titles for you. Every day, write 5 “articles” that can actually be under 500 words, about 2 paragraphs. That should take you under an hour. I always start new blogs this way; it will automatically put me ahead of everyone who only blogs once or twice a month. But that’s still not enough – you need to get people linking back to your website. That’s harder. But you can do it yourself by posting content around the web. For each blog post, make a video summarizing it, post it on youtube linking back to your site. Publish things on Twitter and Reddit and Facebook (PS – other people will see this as spammy if you do it often). Only share your best articles and resources, not all of your posts. And make sure you’re sharing other stuff as well. Share 10 things of other people’s, for every one thing of yours – otherwise people will unfollow you and you’ll be talking to yourself in an empty room. You can also try to get backlinks. That happens when your article is amazing. Or, just as commonly, if your title is amazing. Most people like or share something on social media based on the title and not the content! Or sometimes just the picture! So you can post any article and add a picture of a cute cat, and it will be shared and liked more often, tricking Facebook or Twitter into thinking people like your content (when really they just liked the cute cat). 1. You are providing a master, big resource, that people will like. It’s helpful. 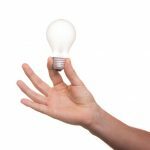 People will always share researched posts with lots of useful links. 2. You are hoping those sites you linked to will notice, and share your article. This works especially well if you write an “expert round-up” and use pictures of the experts. You can even email them and say, “by the way, I quoted you in this article.” It’ll probably double the amount of shares you get. I rarely do it because I don’t want to be annoying but you should probably do it anyway. The value of not-being annoying sometimes isn’t worth the cost of not asking. 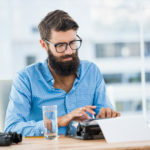 I started www.MarketingForWriters.com with 21 long “expert round-up” posts like this. That’s why I’ve been considering some different options with my fiction blogs. Basically, I’m starting a fiction platform from zero, but want it to be big enough for a successful launch in just a month. So I need to post a whole bunch of great content, quickly, that gets shared and gets traffic… and I also need to build my email list up to 1000+ before launch. And not just any 1000; I need 1000 engaged and active readers, who will download and review my book. Here’s how I’ll do all that. 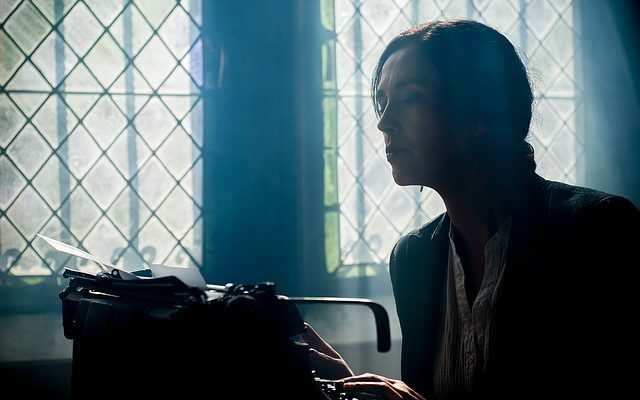 I needed an “author blog” – so I made one at www.UrbanEpics.com. It’s simple, but has everything it needs. I’m asking people to “sign up to reserve their copy.” I have some excerpts, a bit about me, and a promise to my readers. It’s basic, but for a site with no actual books yet, it’s good. I can start getting targeted traffic by blogging about some of the things I mentioned earlier. But I don’t want to wait that long. Plus it’s usually harder to get people to share a personal blog. So I started two other sites. Both of these are sites that I bought at auction, which means they have some history, which may or may not mean they should build up faster and get Google to rank them higher. Basically, they are sites that already have a lot of backlinks, so instead of starting from zero, I should be starting by building on an old broken platform… it will boost me up a bit. The first is www.EdwardCullenSucks.com. The tagline is “searching for a better paranormal paramour.” It’s a paranormal romance site: I want to turn it into a niche book review site. The second is OffTheShelf.info. I had planned to make it a general book review site, but it will work better for me if I focus on YA (the same genre I want to write in). So I made it look pretty nice and now I’m starting to review books – books that aren’t even out yet. I’m hoping if I build up enough content quickly, Google will rank those early book reviews ahead of a lot of others (once I have the exact data, I’ll post again with results). The nice thing about those sites is that they are general, reader focused, and non-promotional. I won’t be talking about my books – just other people’s books. I’ll probably also put my books in the sidebar, eventually, but I can do that later. First I need to make them popular. And I need A LOT of content. To get a lot of content quickly, I’m going to want help. I could hire a couple VAs to crank out articles. I might do that. But I thought I’d give other YA authors a chance to participate. I can do them a solid by giving them some free book marketing. So I’ll offer to let them post book reviews, an author interview, or an article on my sites. I may even make a deal, like 5 book reviews earns you a permanent link on my homepage (which is good for their blog and will help them get more traffic). Or maybe I’ll start a Private Blog Network, and only allow authors in who already have strong blogs, and we’ll trade links. Links from other websites in your target genre helps Google know where to place you, and how popular you are. In return I get more content on my site – the site that will feature them. We all win, because instead of focusing on promoting my book, I’m focusing on promoting all YA BOOKS. That makes other authors happy, because it’s easier to get discovered. That also should make readers happy, because there are more books to discover. And with a whole bunch of niche content, Google should be happy, and start sending more traffic. Everybody wins. 3) But wait, how will I get their attention? I could just post my offer, but few people will take me seriously. A lot of authors don’t understand the benefit of posting content on other people’s sites. That’s why they don’t get any traffic. 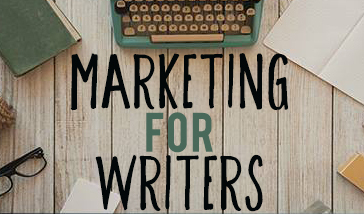 What I need to do is #1 Establish myself as a book marketing expert and #2 get a whole bunch of YA authors to sign up on a special email list, so I can contact them. That way, when I pitch my offer, they can see the benefit. Having a group of self-supporting authors in the same genre is powerful marketing; especially if you can share each other’s platforms and followers. Anyway, I should get a lot of content up on those two sites, which should bring in traffic. Maybe not a ton of traffic, but maybe 100 people a day to each. That’s 200 people a day, or 6000 people a month. And that’s targeted traffic; those are readers looking for books like mine. If I can hold their attention, make them an offer and get them to sign up, I’ll be building a big list of YA readers. And when I have the biggest list of YA readers, that gives me a lot of power. I want to have 1000 readers before I even launch my first book, but I should have 10,000 readers in a couple years. 4) Once I have content, I want to boost traffic. So, I’ll start posting guest posts on other people’s blogs and websites. I’ll post my best content on Reddit, Twitter, Facebook. I’ll post on Buzzfeed and Medium. I might try to get something in HuffPo or other big websites. I want lots of links back to my site. If I keep the sites updated with new articles, I should probably hit 500 people per day on each site (1000 total). That’s 30,000 people a month. That’s the value of starting and building your own websites; it takes effort, but it can then generate it’s own sustained traffic. 1000 people a day, forever. If you had to pay for those 1000 visits/clicks a day, it would cost you about $250 per day, or $7500 a month. That’s almost $100,000 worth of book marketing a year. -Start a blog and post 100 articles about your topic or genre. 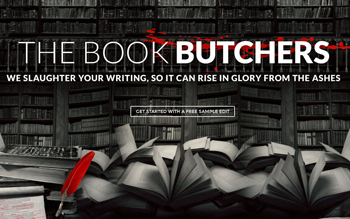 -Try to network with other authors in your genre and trade guest posts and links. -Keep people on your site longer with pictures and videos. -Once people find you site, make them an offer they can’t refuse to get them on your list.